Obesity is always a touchy subject, and with the new cautions on obesity and discrimination in the workplace, most won’t touch the subject with a ten foot pole. The evidence shows we’ve got to, and I’m happy to! Obesity does not define who someone is, it is a condition. An unhealthy condition than can be corrected. Given the tools, the desire, and the motivation we can do better. Employers should find it within themselves to do better. The continuing increase in obesity rates in the United States has been all too well-documented and is shown to be a major healthcare cost driver. According to the Centers for Disease Control and Prevention (CDC), nearly 36% of U.S. adults are obese (at least 20% above their ideal weight), and current estimates of the medical cost of adult obesity range from $147 billion to nearly $210 billion annually—more than alcohol- and smoking-related costs combined. In a 2012 report by the Trust for America’s Health and the Robert Wood Johnson Foundation predicts that if current obesity rates continue unabated, by 2030, 13 states could have adult obesity rates above 60%, 39 states above 50%, and all 50 states above 44%. 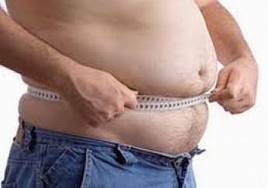 The CDC says medical expenses for obese employees are estimated to be 42% higher than for those with a healthy weight. Costs related to directly to medical expenses, however, don’t necessarily account for the full financial burden on employers. A 2010 study by Duke University researchers found that obesity among full-time employees costs U.S. employers more than $73 billion per year. It was determined that there were three main factors in determining costs: employee medical expenditures, lost productivity on the job due to health problems, and absence from work. What can employers do? Employers can start with health promotion and it all starts with leadership. Charge your HR department and leadership team to form a wellness program. Developing wellness programs that promote a healthy lifestyle can pay big dividends. Think you cannot afford to provide your employees with gym incentives? It’s costing you more than you know. Giving employees healthy incentives to stay fit will decrease absenteeism, increase retention, and add more to employee satisfaction than you realize. If you can’t commit to this than start with only healthy vending machine choices. Getting rid of the crappy food options will make a statement on what the organization values. Provide a semi-annual reimbursement for walking or running shoes. Encourage walking groups at lunch. start a monthly healthy munch and learn potluck to create a greater sense of a healthy community. Creating a health focused culture takes time, but as the energy builds your workforce will become stronger, increasingly more productive, and happier at what they do. It’s a win win! « Organizational Artifacts: Blurred lines or Precious Gems?